HAVE you ever wondered why chocolate cake is on many people's list of comfort foods? Or why it is that we continue to indulge in ice cream and sweets, even when we aren't really hungry? Why is it that it is sometimes almost impossible to resist a sweet fizzy drink? We all know that gyms across the country are especially full at the beginning of the year when so many of us tackle the challenge of losing the unwanted kilograms that have insidiously accumulated around our waistlines. At these times, diets and fitness plans are high on many a New Year's resolution list. The reasons behind this and many weight-related concerns have led to Finance Minister Pravin Gordhan's introduction of a tax on sugar-sweetened beverages. Termed the "sugar tax", this move is believed to be one way to have a positive effect on the health of the general public while at the same time raising additional revenue and reducing the budget deficit. The announcement of a sugar tax follows the Department of Health's policy paper on sugar and obesity published in December 2015. In it, the department stated its intention to reduce obesity by 10 percent in the next four years. 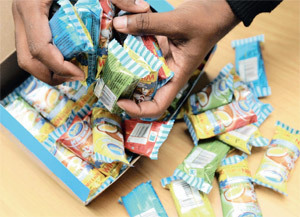 This decision is a direct result of the fact that, according to a study published in Lancet, South Africa has the highest overweight and obesity rate in sub-Saharan Africa. According to the report seven out of 10 women, and four out of 10 men have significantly more body fat than is deemed healthy. Furthermore, a study by the pharmaceutical company GlaxoSmithKline has pronounced South Africa "the third most obese nation in the world" and a Medical Research Council study found 61 percent of the South African population to be overweight or obese. This is more than double the global rate of almost 30 percent. These facts beg the question, how did it come to this? Although not a simple question to answer, one aspect is certainly connected to the fact that sugar is one of life's greatest pleasures. There's no getting away from the fact that we as a nation are consuming too much sugar and in so doing putting ourselves at the risk of deadly diseases such as diabetes and heart disease. The facts and figures speak for themselves: each can of soft drink contains around 10 spoons of sugar (the Harvard School of Public Health). To place this in context, do a little experiment and place 10 spoons of sugar in a glass next time you're sitting at a table with a bowl of sugar. You are sure to be shocked at the sight! Sugary drinks increase this (blood sugar level). The more processed the food is, or the more refined the sugar is, the quicker it is absorbed into the blood. The situation is not, however, so straight forward. Part of what makes sugar so unhealthy stems from the way most of the sugar found in our diets is manufactured. The process of refining sugar takes natural sugar cane, removes the fibre and concentrates what remains into pure energy When we ingest this, we need to use the energy up and if we don't do so, our liver turns it into fatty acids, which are then stored as excess fat. When you think about the amount of sugar we eat daily, it can come as no surprise that this spells bad news for both our waistlines and overall health. It is a wellknown fact that when you eat a lot of sugar, your body produces the hormone insulin (hyperinsulinism). The increase of insulin in the bloodstream lowers blood sugar levels and stores the sugar as fat. However, as the blood sugar level drops, you start to crave more sugar and so a cycle of sugar addiction comes into being. To understand how the consumption of sugar is linked to our growing waistlines we need to look further into how our body functions. We know that our bodies work to maintain a certain level of blood sugar. Sugary foods and drinks increase this significantly and the more processed the food is, or the more refined the sugar is, the quicker it is absorbed into the blood. As the amount of sugar in the blood increases, there is less need to use it to provide energy for our daily tasks and so the excess is converted into fat. Professional athletes, marathon runners and endurance sport competitors use sugar to provide the fuel they need when exercising. However, they use it up very quickly and so it isn't stored in the body as fat. This does not apply to the average person who leads a more sedentary life. When they consume high quantities of sugar, their waistline expands from all the excess that gets stored. Critics have said that Minister Gordhan's "sugar tax" will lead to South Africa degenerating in to a "Nanny State" where "Big Brother is watching you". They also say that such a tax will have a disproportionately negative effect on lower income earners, because they tend to consume unhealthy, sugar-loaded products. Research shows that obesity is more prevalent within poorer communities, but in reality it knows no bounds and is a problem that affects all levels of society. South Africa's obesity epidemic needs to be tackled head on and a tax on sugar is a good place to start. The gains from a decreased consumption of sugar promise to be very widespread. Improved wellbeing will lower hospital bills, mortality rates and sick days from work. Productivity will increase and the overall quality of life will improve. Surely such beneficial spin-offs from a sugar tax outweigh the impact on our pockets? The long-term strategy to improve the health of the nation needs to be broad and encompassing if it is to succeed in its goal. 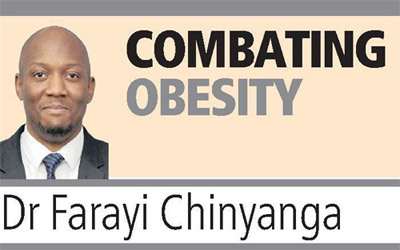 However, the introduction of the sugar tax is a step in the right direction and, if it is combined with proactive measures to make nutritious foods and beverages affordable and accessible, it is sure to have an impact on the prevalence of obesity and associated complications in the country. Dr Farayi Chinyanga Dr Farayi Chinyanga is an executive manager at AfroCentric Health's subsidiary company Medscheme.